Not many people know what gingivitis or periodontal disease is, yet according to the Canadian Dental Association, nearly 70 percent of Canadians will develop some form of gum disease over the course of their lives. While this figure might come across as alarming at first, it makes sense when you consider the causes of gum disease and the fact that it can go unnoticed for quite some time until you develop painful symptoms. 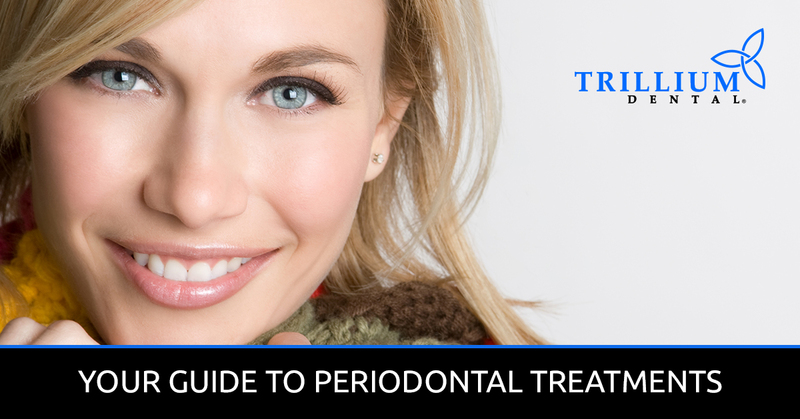 That being said, here is a brief rundown of periodontics and the procedures involved. Essentially, periodontics is a branch of dentistry that involves treatment of the oral structures that surround and support the teeth. These include the jawbone, the gums, and surrounding oral tissue, which can be harmed by the persistent plaque buildup that causes gingivitis and gum disease. In order to combat this, periodontists are able to perform a number of treatments and procedures such as root planing or lasering away the bacteria, as well as gum grafting, crown lengthening, or performing gingivectomies. But don’t panic — these procedures aren’t nearly as scary as they sound. Root planing is the term periodontists use to describe the process of gently removing tartar, or hardened plaque, from along and underneath the gumline with a dental scaler. Often, this painless procedure is done as part of your general dentistry checkups. However, patients who are experiencing mild gum disease, or gingivitis, may have this done to help clear the area of bacteria that caused the gum infection so the receding gums can naturally reattach themselves to the teeth. Recent advancements in the field of dentistry have also made it possible for periodontists to precisely kill bacteria along the gumline and remove infected gum tissue so that the gums can reattach to the teeth. While this might sound painful, there is usually no need for local anesthesia, and the procedure doesn’t take long to complete. Once a patient’s gum disease has worsened past the mild stage of gingivitis, surgical periodontal treatments may be required with the application of local anesthesia. One of these procedures is gingival grafting, or gum grafting, during which your periodontist will gently graft a small bit of tissue from another area (usually the roof of your mouth), then add it to the receding or diseased gums for support. Gingivectomies, on the other hand, involve the lasering away of infected gum tissue from the deep pockets of bacteria that develop under the gumline in patients with periodontal disease. This surgical periodontal procedure is only performed in patients with severe gum disease that has attacked and deteriorated the gums, causing them to recede significantly. Finally, your periodontist may perform a crown lengthening procedure for patients who do not have much natural tooth surface for a dental crown or cavity filling to attach to — as is often the case for those with deteriorated teeth from periodontal disease. During this periodontal procedure, we simply laser away extra gum tissue so that the following restoration process will be most effective. Interested in learning more about the field of periodontics? Contact us with any questions you may have, and request an appointment at Trillium Dental in Ottawa today!